Uninsured Gladney agitating against health care reform is reminiscent of those unemployed guys in Ohio who were strong supporters of George Bush against John Kerry. It did not matter to them that they were out of work and on the dole, or that they did not have health insurance, or that their brothers or brothers-in-law were in combat in Iraq: What really mattered to them was that George Bush believed in god, George Bush opposed gay marriages and abortions, and George Bush supported their right to own guns. Or has the Obama White house faced Republican and Conservative Democrat Oppostion to every single thing that he has proposed. If you live here in Reality; you’d know it was the latter. Over there in crazy town the White House is hosting a 2h-hour George Clinton and Jay-Z concert and nothing is getting done because the President goes to bed at 10 PM and isn’t fond of reading. Right? The most Naiive Republican evers! I’ve said before that Republicans aren’t too good at protests because we are just too polite, but maybe it’s time we stepped up to the plate EACH time anyway. Maybe we can stop this leftwing hate machine. So, if you are keeping notes: Republicans don’t get into protesting, because they are so polite. However, in the same post we see a reference to the ongoing and sometimes very impolite Tea Party protests that have sprung up around the USA. Amazing. Paragons of Civility and Genteel Discourse. Never Raising their voices in Protest; except for the most Egregious outrage, just ask the Dixie Chicks. I can enjoy this all the way up here in Soviet Canuckistan. Burn Conservatives Burn! I can see right through this game; set up the obvious villain, look like a rational person next to him and lead the party out of the doldrums. Easy stuff. At least they are female prostitutes, Am I right? It’s all in fun when these things go down; but moralizers like HAnnity really need to act with some sense and NOT put themselves into these positions; either walk the walk or stop the talk. Okay? The US economy is tanking; there is no doubt about it. 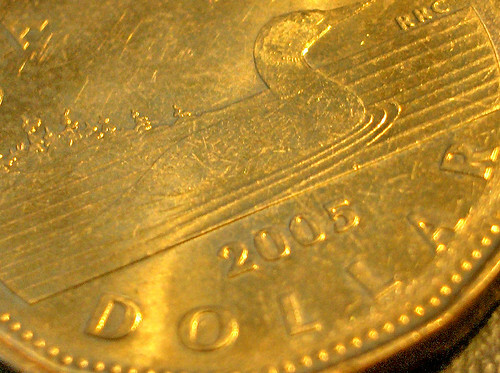 So why is the Canadian Dollar losing value against the greenback? At 8:05 a.m. EDT, the Canadian unit was at C$1.0767 to the U.S. dollar, or 92.88 U.S. cents, down from C$1.0686 to the U.S. dollar, or 93.58 U.S. cents, at Tuesday’s close. A Zogby poll on 20 August put Barack Obama five points behind his Republican rival, reversing the seven-point lead the pollster had given him the month before. Senator McCain 71, now leads Senator Obama by a 46 per cent to 41 per cent margin, according to a latest poll released by Zogby International on Wednesday. Yet, here we are. Canadians and Americans seem determined to vote in another series of Conservatives, and the eagerness of the timing of Harper’s (broken promise) election is eerily like a coordinated plan to make a solid bloc of Conservative governments in the West (the UK is heading for a Tory victory too) with the Russians getting poked with a sharp stick like they are, we are looking like a return to the Thatcher and Reagan era. Are people really this stupid? Obama is no savior, he’s barely (at least rhetorically) a left winger; he’s about 2 degrees from McCain rhetorically; but McCain is the servant of some very sinister paymasters, whereas Obama is more of a stooge for Capatalists. The Richland County (S.C.) Sheriff’s Department has acquired an armored personnel carrier complete with a turret-mounted .50-caliber belt-fed machine gun for its Special Response Team. Sheriff Leon Lott told the Columbia State newspaper that he hoped the vehicle, named “The Peacemaker,” would let the bad guys know that his officers are serious. The Peacemaker has a top speed of 30 mph. You see the reasoning there; we have a giant gun and a tank and we are going to use them. This is military hardware in the hands of the police as a response to the “out of control” levels of resistance they are experiencing. Which is of course a fallacy; I haven’t seen a single report of anti-tank weapons used in police firefights (please correct me if I am wrong). This is the country that is not going to elect Obama, not because he is black (which is probably why 25-35 percent of them won’t), not because he is a Democrat (25 percent of Americans still think Pres. Bush is doing a great job, they will vote for McCain if he eats a Jewish baby on stage, it’s best to just ignore them) the majority of the remaining 40-50 percent are scared. They are scared of the future and think that the rhetoric of the people who have scared them for the past 8 years will come to pass and they will vote a nearly straight Republcian ticket and get the government they deserve. The same is true for the Canadian dollar, the dollar is a strong alternative to the Greenback, but as Canada is tied so closely to the fate of the American Endeavor (through the strong economic and social ties that have been formed) The loony falls on the whims of the US rhetoric, which is as changeable as the wind and rooted in fear, not hope. People went looking for a confrontation. They found one and now they want to whine about it. There are designated areas where to protest and where to set up your cameras and do your journalistic duties. It’s all planned out and well orchestrated well before the event. Protest in the designated areas and you’ll be fine [note: emphasis added]. It looks like this person was not in the area and went looking for trouble to get on camera. Her cries of “please don’t arrest me” before she was cuffed is pure bad acting. This doesn’t impress me much and I don’t weep for her. 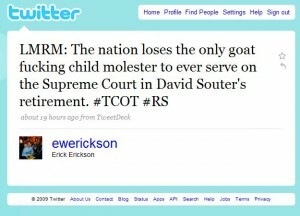 Or they were just picked on by the vast Republican conspiracy. You decide. I’ve covered my theory of how to protest in a previous post, so revisiting my discussions on Freedom Fences and Open Sharing Gulags might be an exercise in futility. I’m collecting the videos of the protests and police action from the RNC 2008, in hopes that I can turn it into something worth posting, not that I’m not proud of my squirrel videos, but I want to make a statement other than “I like rodents”. As for the protests, I agree that there is a certain amount of “I bet you can’t hit me!” going on among the protesters, I saw a fair bit of it in the videos. That does not change the equation here, the police are in riot gear and firing “bombs” at the protesters, who are at worst throwing rocks and Molotov Cocktails at them (something I haven’t seen on video but will concede appears to be something that may be going on). Does that mean that the “peaceful” protesters should accept being corralled into some sort of designated indignation area? Hell No! They should be allowed to get right up next to the people they are protesting, it seems to me that authoritarians are fine with protests that they support getting right in the face of the people, but not those that they disagree with. This disparity of standards allows for such things as free speech zones to flourish. The Entire western world is a free speech zone, simple as that. There is no (reasonable) country in the western world that does not enshrine free speech as a right for the people, along with freedom of assembly and freedom of association. These are cornerstones of a free society and the curtailing of these goes a long way to a strong authoritarian and repressive regime taking hold in a society. It’s the responsibility of the people to stand against this repression of speech, even if you don’t agree with said speech.